Our spacious Two Double Beds Suite is the perfect room choice for traveling colleagues, families, and groups. With two double beds and a sleeper sofa that easily converts into a full-sized bed, this room comfortably accommodates up to 6 guests. 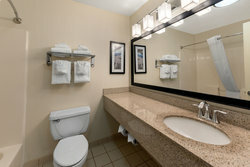 Find exceptional comfort awaiting you in our accommodations. 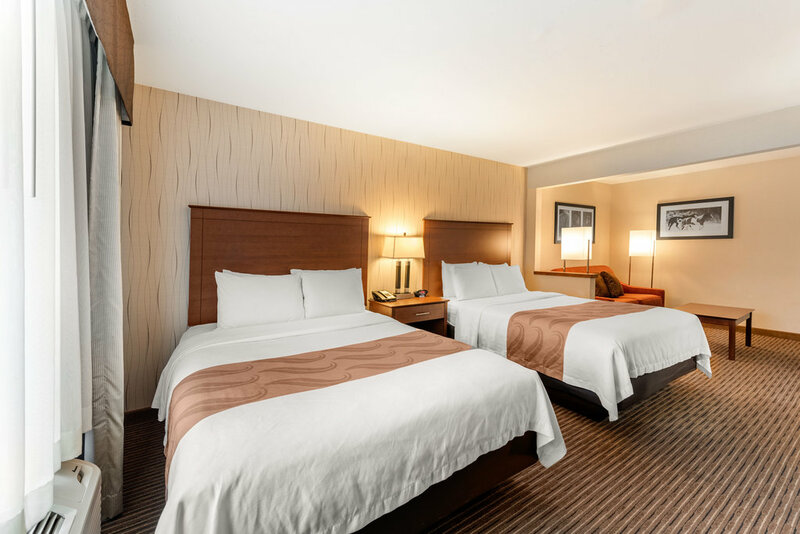 All of our suites in Fort Collins, CO feature our “Q Bed” Program, which includes the highest quality of premium beds, linens, and pillows, ensuring you the best possible sleep. Delight in a pleasant sleep and wake up feeling rested and rejuvenated. 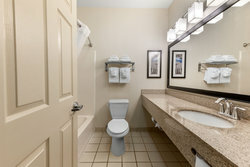 Pamper yourself in your private bathroom, which comes equipped with premium bath amenities and a showerhead with multiple settings for a luxurious cleansing experience. 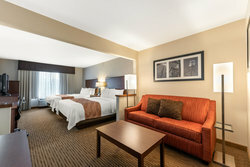 Stretch out on one of the two double beds or get some work done at your desk in a comfortable, ergonomic chair, using our high-speed free Wi-Fi to connect with home or the office. Our Two Double Bed Suites are available with accessible features.